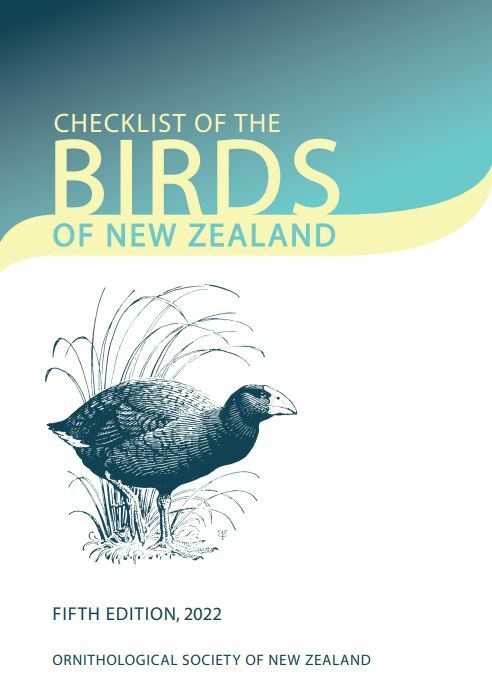 Geographical variation: New Zealand birds have been assigned to the subspecies T. p. clarkei. 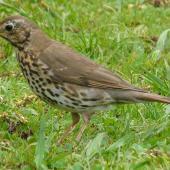 The song thrush is easily recognised by its speckled brown-on-cream breast. 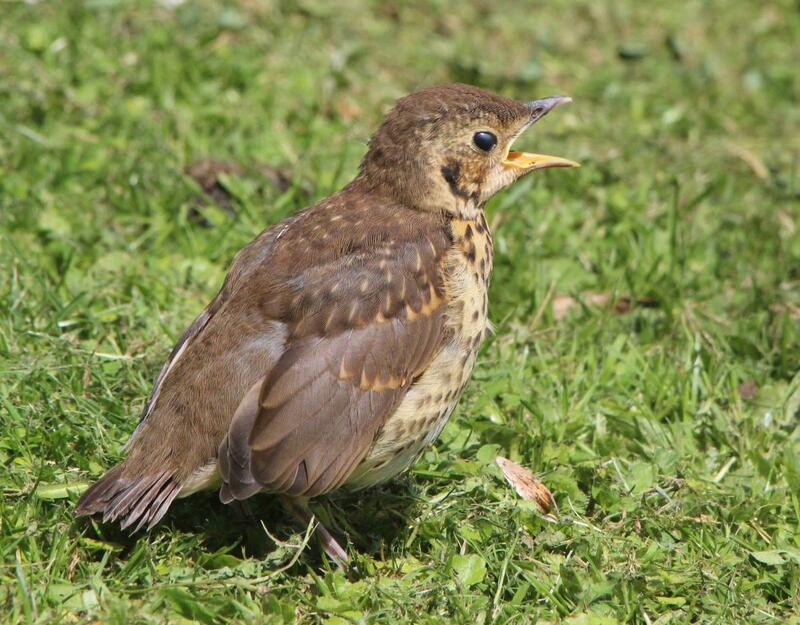 It is often heard before it is seen, as it is one of the main songsters of suburban New Zealand, with a very long singing season. 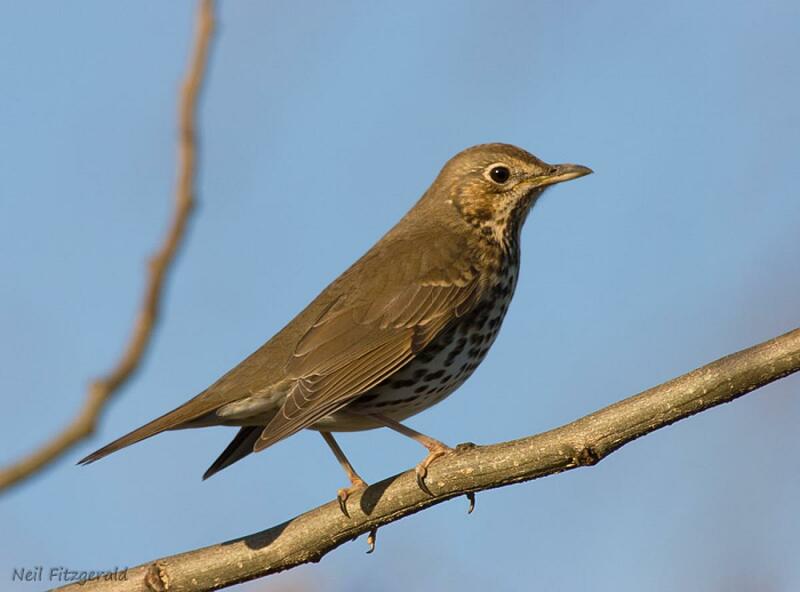 Thrushes sing from a high branch, at the top of a tree or on power poles and lines. Their distinctive song comprising a wide range of notes, with each phrase typically repeated 2-3 times in succession. 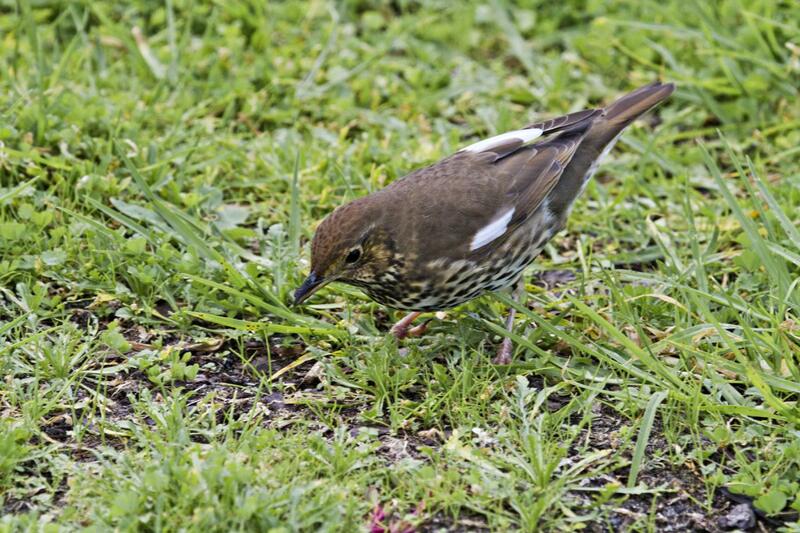 They are common throughout mainland New Zealand and nearby offshore islands, also Stewart Island, Chatham Islands, Snares Islands and Auckland Islands. 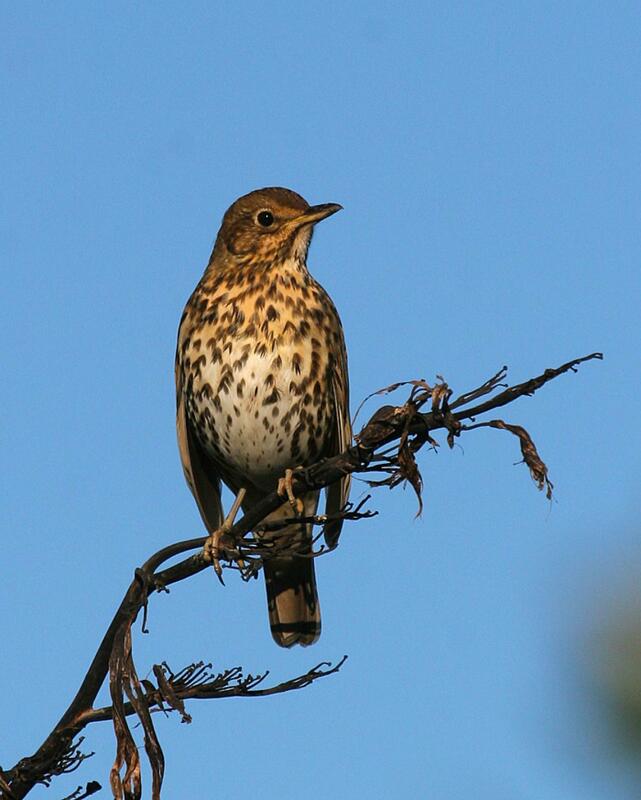 Thrushes frequent a wide range of lowland and hilly habitats including suburban gardens, farmland, woodlands and some forests. 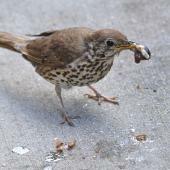 They feed mostly on the ground on earthworms and snails, also insects and berries. 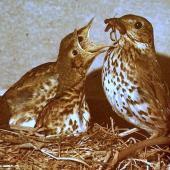 Song thrushes were introduced from England, and were released widely in New Zealand from 1867. 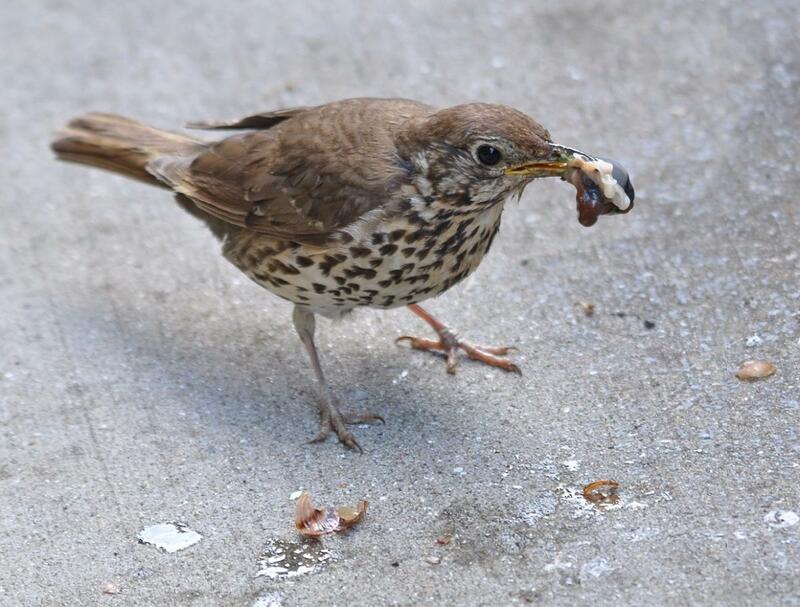 The song thrush is smaller than a blackbird and is distinguished from the female blackbird by its pale cream underparts speckled with fawn-brown chevrons. The head, back and upper wings and tail are smooth grey-brown with indistinct streaking on the head. In flight the upper wing is mostly uniform brown. 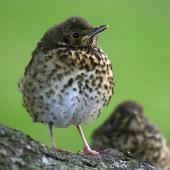 The sexes are alike; juveniles have similar colouring but the speckling on the breast is less distinct. 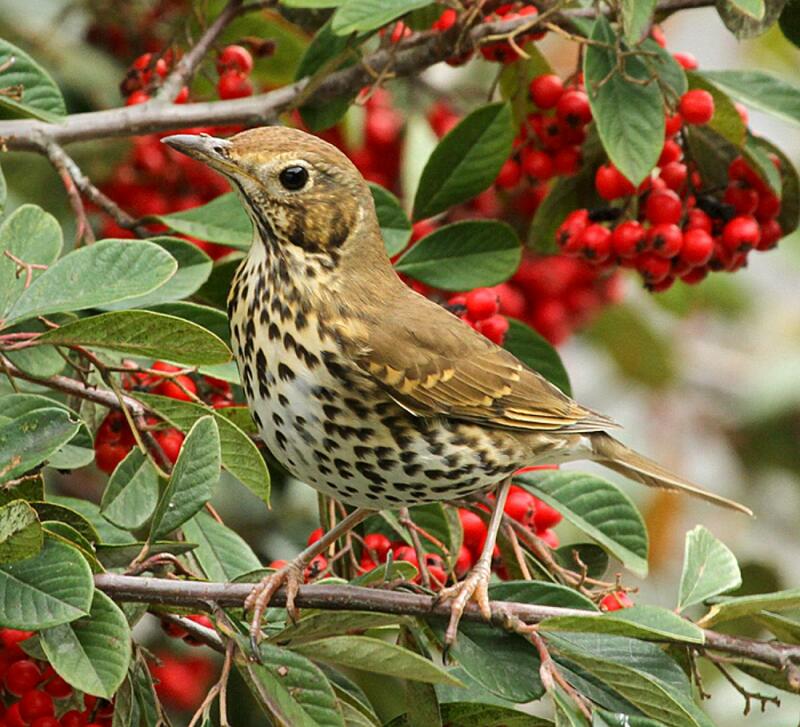 Voice: distinctive and attractive song comprising a wide range of notes, often repeated, from about May to November, but calling can occur throughout the year. Calling can commence before sunrise. 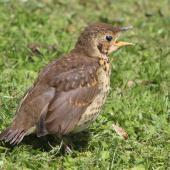 Singing is thought to be by males advertising territorial ownership. Similar species: Eurasian blackbirds are larger and darker. 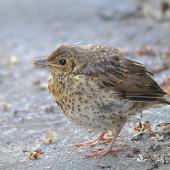 Female and juvenile blackbirds are often confused with song thrushes, but do not have the thrush’s cream-coloured underparts overlaid with brown speckles. 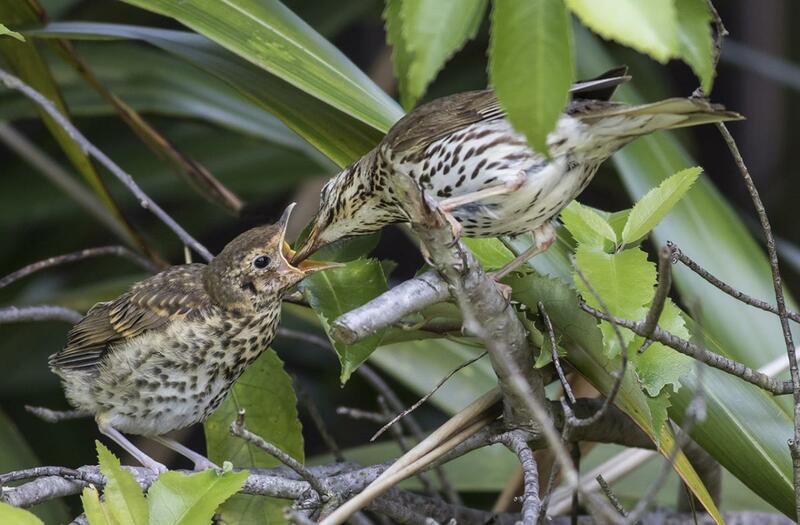 Song thrushes are widespread throughout New Zealand from sea level up to about 800 m altitude, lower in the south. 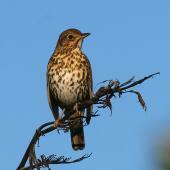 They occur in urban areas, farmlands, orchards and in lowland indigenous forests. 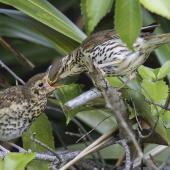 Song thrushes are resident on Stewart, Chatham, Kermadec, Snares and Auckland Islands, and occur as vagrants at Antipodes and Campbell Islands. They are less common on Great Barrier Island and in parts of Stewart Island, central Otago and coastal parts of Fiordland. 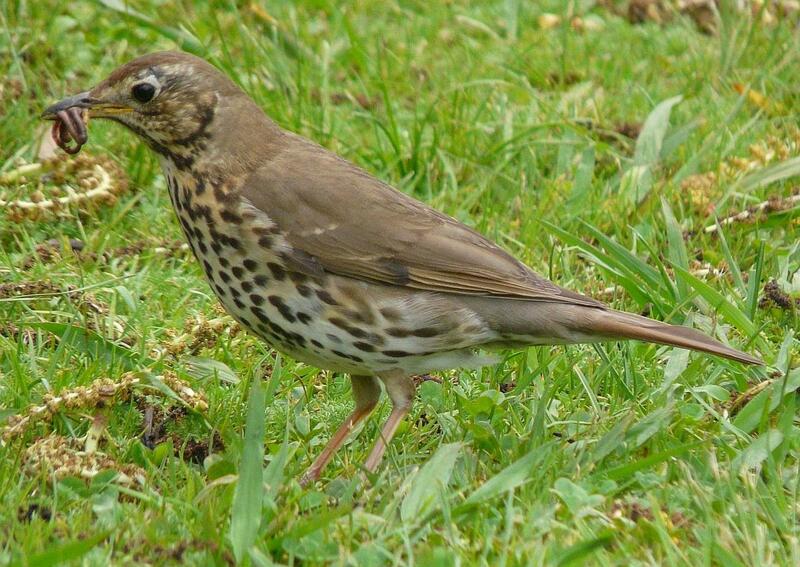 The song thrush is a common bird in New Zealand, though Eurasian blackbirds are c.10 times more abundant than song thrushes in most habitats. 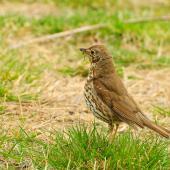 Thrushes are usually seen as single birds or in pairs, and are not known to flock. 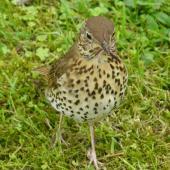 Song thrushes are generally considered as being neutral or possibly slightly damaging in some situations to the rural economy. 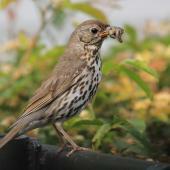 Although they eat snails and slugs, song thrushes can damage ripening fruit and spread the seeds of weedy plants. 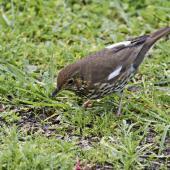 They have no recognised impacts on native bird species. 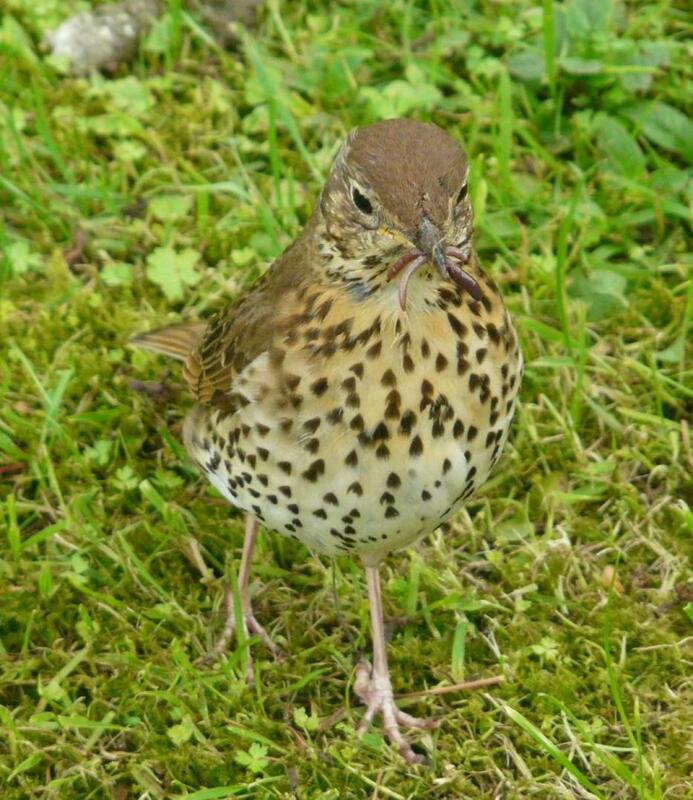 Song thrushes are territorial and nest as solitary, monogamous pairs, breeding from August to February, peaking in September – November in most localities. 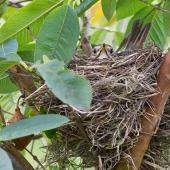 They nest in the forks of shrubs or trees several metres above the ground and usually well concealed by foliage. 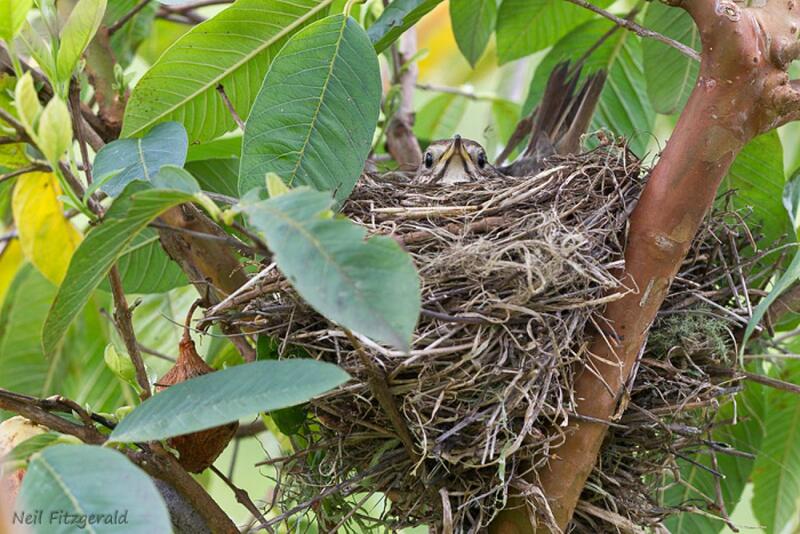 The nest is a tightly woven bowl of grass, small twigs, lichen, wool, dead leaves and lightly lined with mud. 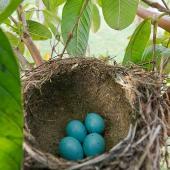 Two, three or more clutches of 3-4 (sometimes 5-6) eggs may be laid during a season especially if an earlier clutch is lost. 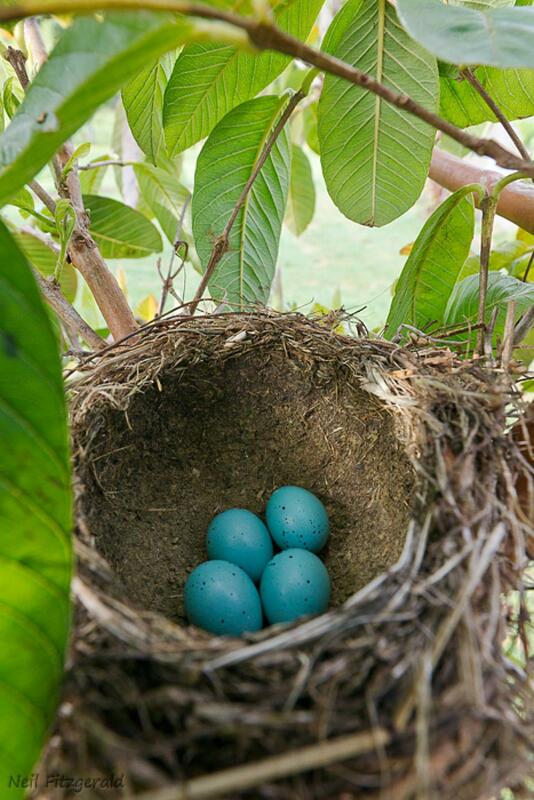 The eggs are light blue-green or pale blue with tiny dark spots at the larger end. 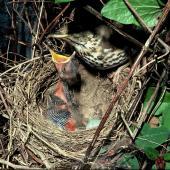 Incubation is mostly by the female and takes 12-13 days. 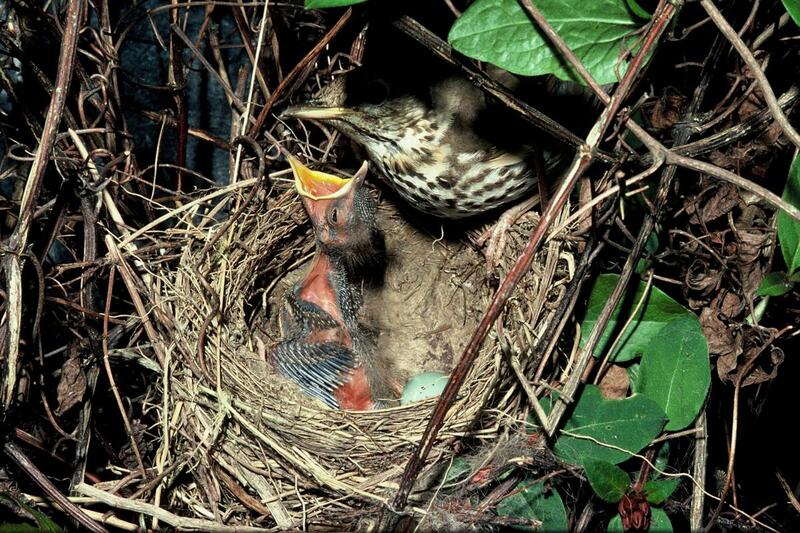 Young are blind and naked when hatched and open their eyes after 5-6 days. 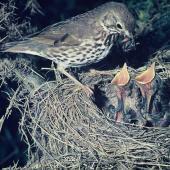 They are well-feathered 12 days after hatching, and fledge at 12-14 days. 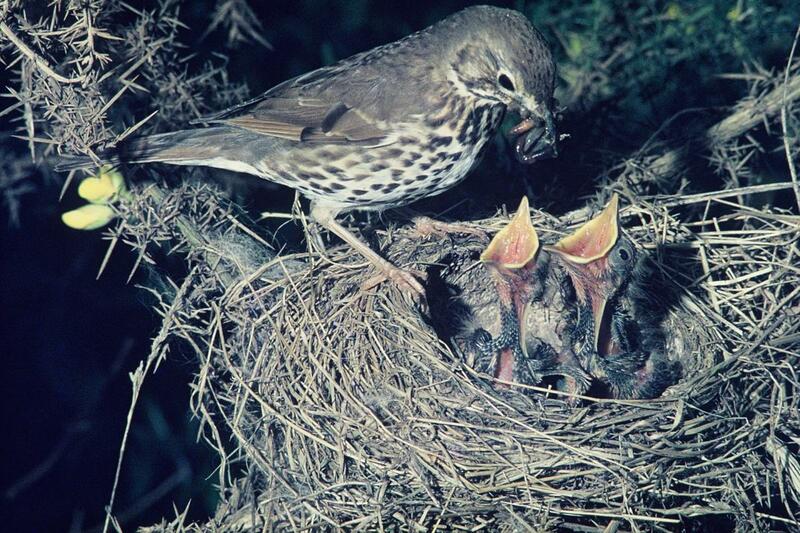 Both sexes share feeding, including of fledglings. 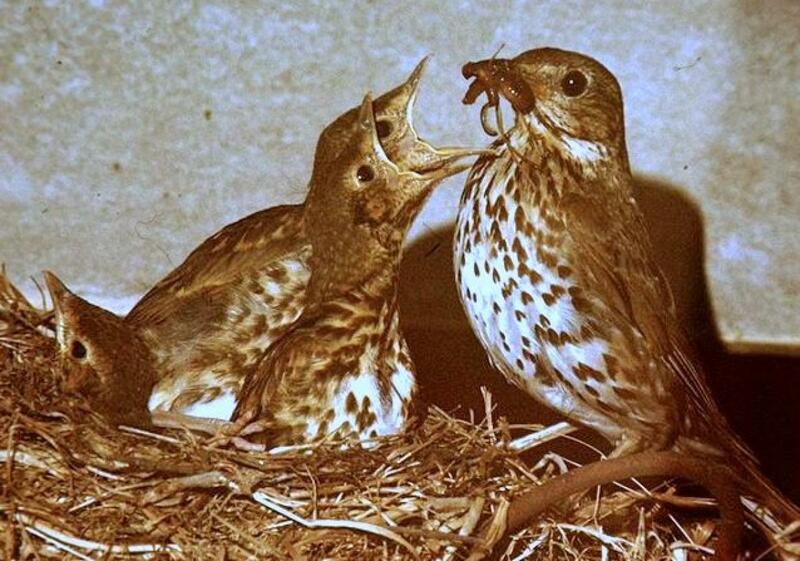 A song thrush has been observed to have laid its eggs in the nest of a blackbird (an example of brood parasitism) but the two song thrush young that hatched out were ejected from the nest, which was subsequently deserted. 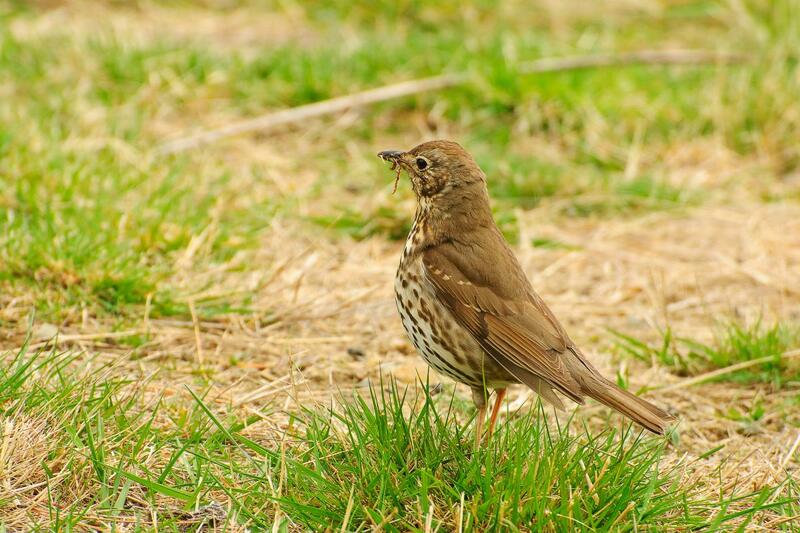 Song thrushes are usually seen singly or in pairs. They are best known for their varied and attractive song, hence the name, given mostly in winter, spring and early summer. 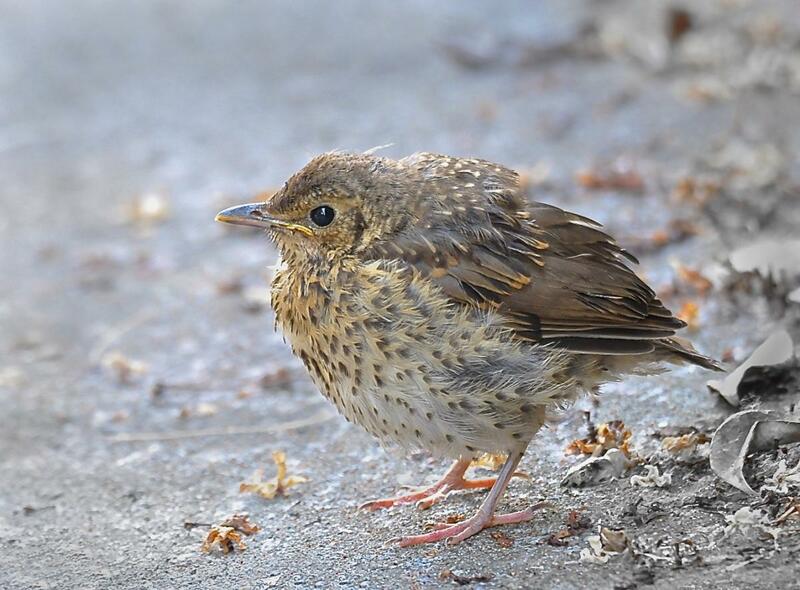 They are commonly seen feeding on the ground in parklands, woodlands and suburban gardens, walking slowly or running short distances looking for food. 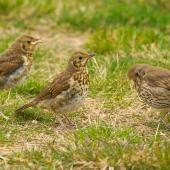 Like blackbirds, they tend to ‘listen’ for food, e.g. earthworms, beneath the ground surface. They are well known to break the shell of snails to get at the soft animal, by smashing the shell on a stone or path with a quick flick of the head. Although they are good flyers long flights seem to be infrequent. 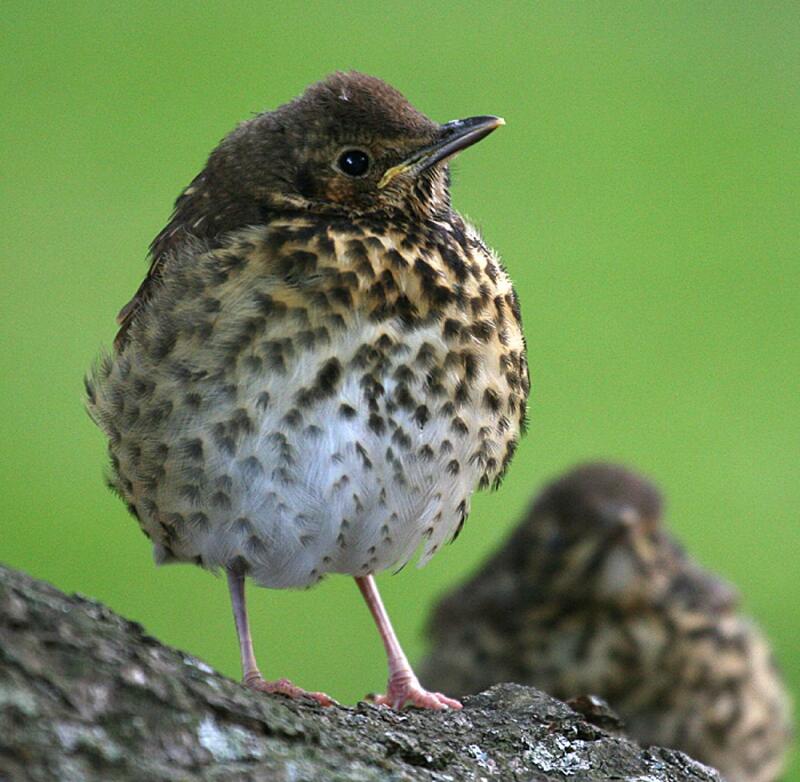 They are not considered to be migratory in New Zealand, although some local seasonal movement may occur. Moulting occurs in late summer – autumn. 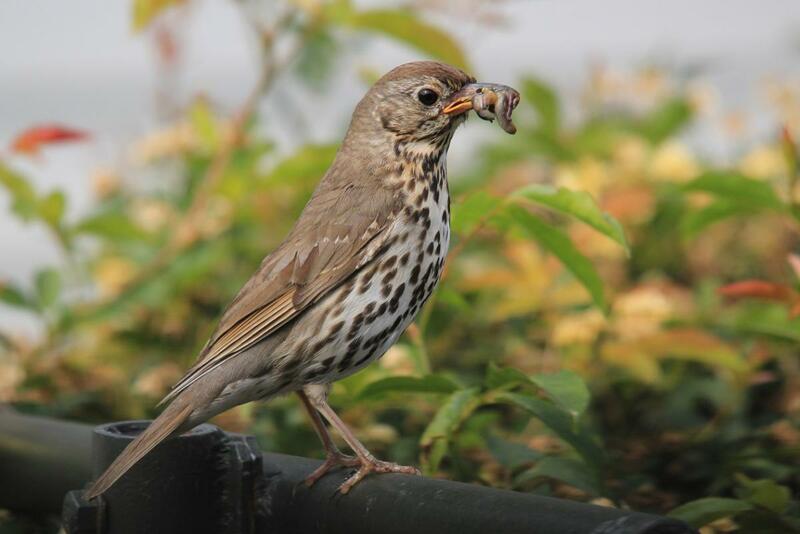 Song thrushes mainly eat earthworms, various insects, spiders, snails and slugs found on lawns, under trees, hedges, forests or in woodlands. 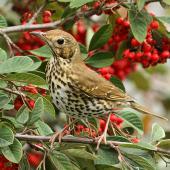 They also eat the small berries of some shrubs such as coprosma, and can eat ripening fruit in orchards. Tightly woven bowl of grass, small twigs, lichen, wool, dead leaves and lightly lined with mud. 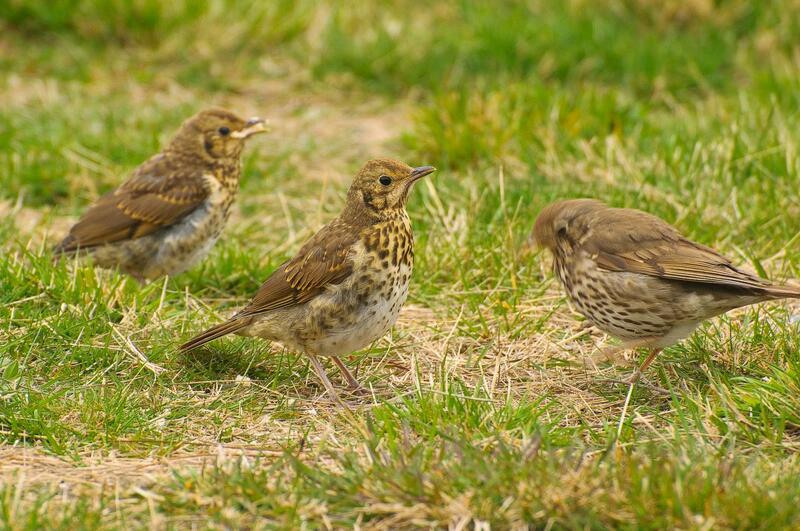 Juveniles probably disperse 10s of km. 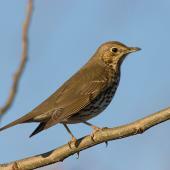 A medium-sized songbird with pale cream underparts speckled with fawn-brown chevrons, smooth grey-brown head, back, upper wings and tail, indistinct streaking on the head and the upper wing mostly uniform brown in flight. The sexes are alike with a robust dark pointed bill with yellowish lower mandible; juveniles have similar colouring but the speckling on the breast is less distinct.